The seven major ways in which leading teams are approaching forecasting very differently to boost performance. Multiple approaches for developing data-driven forecasts that can be updated and refreshed much more frequently. The proper role and usage of the bottom-up forecasts and pipeline estimates generated by individual salespeople. Why it's critically important to understand the differences between the sales forecast and the sales targets/goals. This webinar is just one of hundreds of educational resources you get access to as a SellingBrew Playbook subscriber. How do you make your CRM dashboards an effective tool your salespeople will utilize long after the "shininess" has worn off? This Express Guide details ten strategies and tactics we’ve gleaned through our research with leading B2B sales operations and sales experts. There are common pitfalls many companies run into with their lead generation programs. 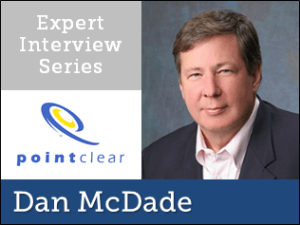 This interview with Dan McDade, the author of The Truth About Leads, exposes why B2B lead generation is broken and what you can do to fix it. In this informative interview, Jason Jordan, the author of "Cracking the Sales Management Code," discusses his research into sales measurement and shines a light on which sales metrics can actually be managed...and which cannot. What does it take to make your sales operation more effective? This on-demand webinar provides insights into what other sales operations are doing and the areas to focus your energies if you're serious about sales effectiveness. And more! Visit the directory and get the help and solutions you need.